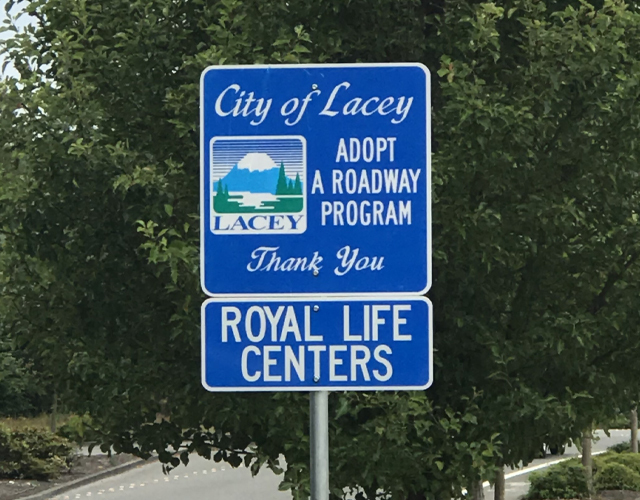 At Royal Life Centers, we strongly believe in giving back to our local community. Our dedication to community involvement allows both guests and staff to get involved, Because We Care. Our mission and values are reinforced throughout each cause that we dedicate our time and efforts toward. Working together within each community we aim to make an impact and truly bring about positive change. Not only do these programs work to change the lives of those in need and the community as a whole, but also the lives of our guests, their family, and staff. Even more, we remain dedicated to fighting the stigma attached to substance use disorder. Our ongoing efforts in bringing positive change to our community helps to fight these prejudices. As often as possible, guests and staff come together to assemble and hand out care bags, called Elliot Bags. We created the bags in honor of one of our former guests, Elliot B. We label each bag with the name of a guest who has passed away, in order to honor their legacy. They are then distributed to the homeless population living in our community. Each bag contains necessities for living including food, water, hygiene products, a blanket, and a poncho. 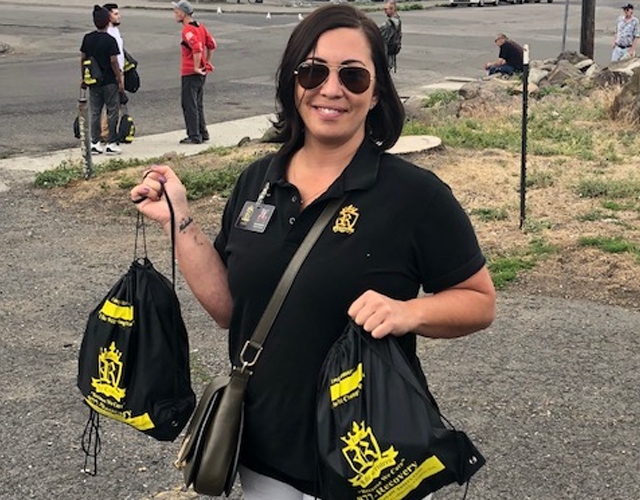 "Royal Life Centers loves to give back to the community - "Because We Care""
At all of our facilities, we offer a complete scholarship for treatment to two homeless people every month. As soon as one of these scholarships completes our program, we invite another person in need to join us and receive the help that they need. The homeless population has been hit particularly hard by substance use disorder. In fact, most homeless often have some form of substance use disorder. However, most homeless also have either limited or no access to treatment. Statistically, nearly half of the homeless population, either on the streets or living in a shelter, reported ongoing substance abuse. At Royal Life Centers we believe everyone deserves to be treated with dignity and receive the help they need. We are committed to offering the finest care possible at all levels of treatment to anyone in need, Because We Care. We adopt streets throughout our local communities to show our pride and to support local initiatives. Staff and guests work together on a volunteer basis to keep our adopted streets free of litter and graffiti. We continue to show our pledge to our local communities with additional volunteer work including trash cleanup and community service. Royal Life Centers is tireless in its efforts to serve our local community as well as the less fortunate affected by substance use disorder. Please don’t hesitate to call us 24/7 with any questions you may have about our programs at (877)-RECOVERY.